Reimbursements will be processed through the GW iBuy+ platform. If you don't currently have access, please email Stephanie Asher at [email protected]. All faculty should have an account already set up, students are eligible for an affiliate account. Please use the following manual to enter your I-Corps Sites related expenses. Manual - "Entering GW I-Corps Site Program Related Expenses"
Travel Expenses to consult with potential clients or experts. Travel costs are the expenses for transportation, lodging, subsistence, and related items required to meet with industry experts and prospective customers. Meetings and Conferences: Costs of meetings, trade shows, and industry conferences are allowable. This includes the cost of meals, transportation, registration fees, and other items incidental to attending such meetings or conferences. Note that attendance at industry conferences and trade shows is encouraged, but expenses related to attendance at academic conferences are not allowable. Teams may not use AccelerateGW I-Corps Site funds for legal or administrative costs. Alcohol is strictly prohibited for reimbursement and may not appear on any receipt submitted for reimbursement. Receipts submitted for reimbursement must only be for the team members receiving the AccelerateGW I-Corps Sites funding. Please review the following manual regarding Expense Approval Procedures for preapproval requirements, as well as important notes regarding reimbursements. 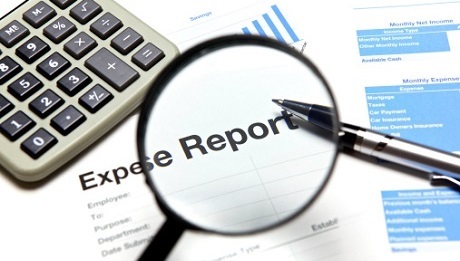 Manual - "Expense Approval Procedures_SITE TEAMS"